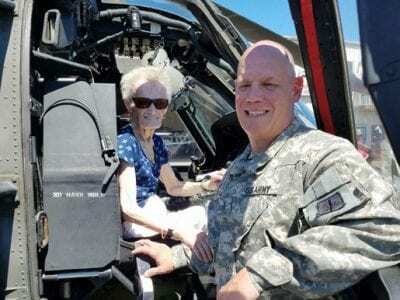 Charles Rodda gives his mom, Betty, the opportunity to sit in the pilot’s seat of his Blackhawk. U.S. Army Chief Warrant Officer Charles Rodda flew home in style last week culminating a 35-year military career by landing his Blackhawk helicopte… Please login below or purchase a subscription to the Putnam County Courier to access this content. 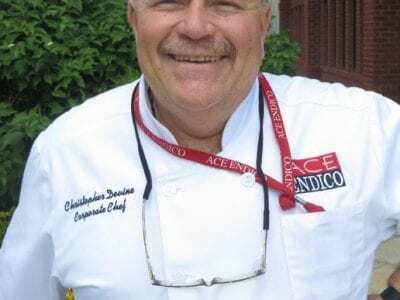 Chris Devine of Brewster hobnobbed with Donald Trump for more than a decade as the executive chef of the Trump organization Chris Devine has worked more intimately with Donald Trump than most men on earth. Devine, 57, a resident of Southeast, served … Please login below or purchase a subscription to the Putnam County Courier to access this content. Barbara Volz snuggles with her newly adopted friend Shelby. Shelby has made life special again for Barbara Volz. The mixed breed 14-month old beauty, rescued from a shelter in Arkansas, was adopted recently by the Green Chimneys board member and pres… Please login below or purchase a subscription to the Putnam County Courier to access this content. Students test their egg “rovers” as they are launched off the Mahopac Middle School. 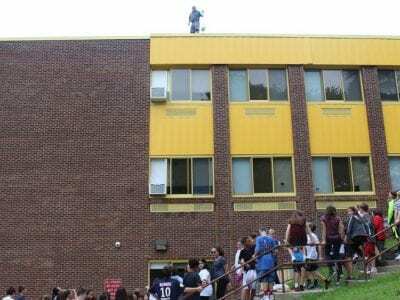 Mahopac Middle School sixth graders will remember their final days of class for years to come. Students took part in an unusual Egg Day event by designi… Please login below or purchase a subscription to the Putnam County Courier to access this content. “I shall always remember how each Fourth of July my Mother would always wave an American flag before my eyes,” Prime Minister Winston Churchill told Congress in December 1941. Churchill, the romantic, was prone to bursts of emotion; and he knew how … Please login below or purchase a subscription to the Putnam County Courier to access this content. Editor’s Note: This letter was also sent to Lt. William Carbone, of the FBI National Academy, New York State-Eastern Canada Chapter. To the Editor I was deeply dismayed to read in the June 20, 2017 of the Putnam County Courier that the FBI Na… Please login below or purchase a subscription to the Putnam County Courier to access this content. To the Editor: Sheriff Smith recently lost a defamation case to former County District Attorney Adam Levy and has issued a public apology. On June 13, 2017, in his own words Smith wrote: “Today, I retract these releases unequivocally and apol… Please login below or purchase a subscription to the Putnam County Courier to access this content. Jabots are worn more than ever. Tinted veils are very fashionable. The fashionable fan is of medium size. Veils cover the whole face this summer. Jubarry lace is popular for dressy jabots. 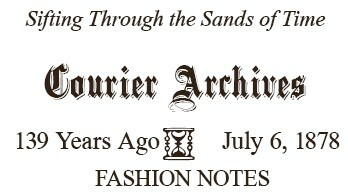 The “Lavense “ overskirt grows in fav… Please login below or purchase a subscription to the Putnam County Courier to access this content.